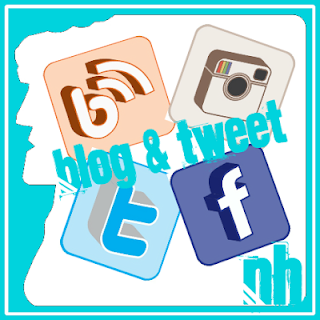 Bar Harbor Cellars, Bar Harbor, ME – Breweries, Wineries and the fun in between! 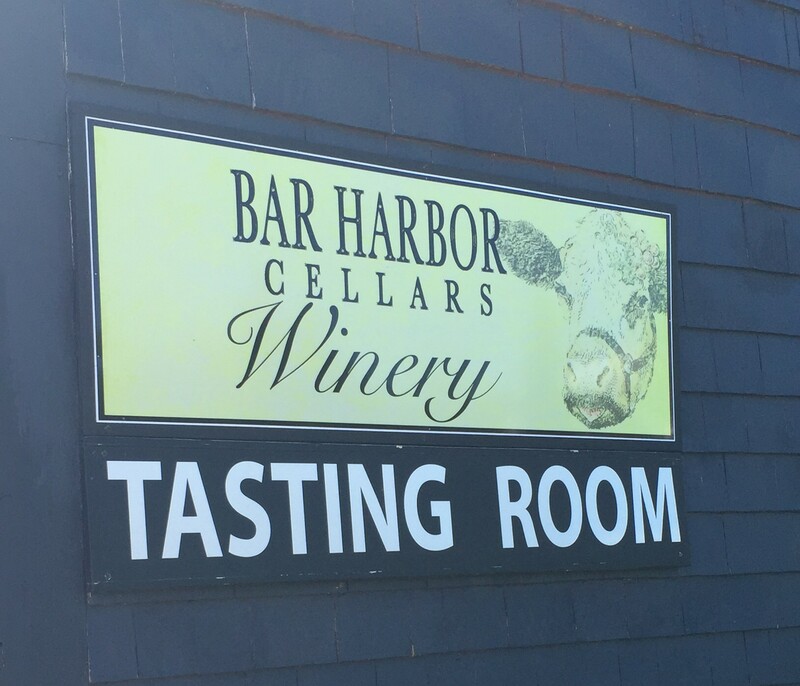 While on our trip to Bar Harbor with Amanda, we of course we had to stop at Bar Harbor Cellars Winery and Vineyard. 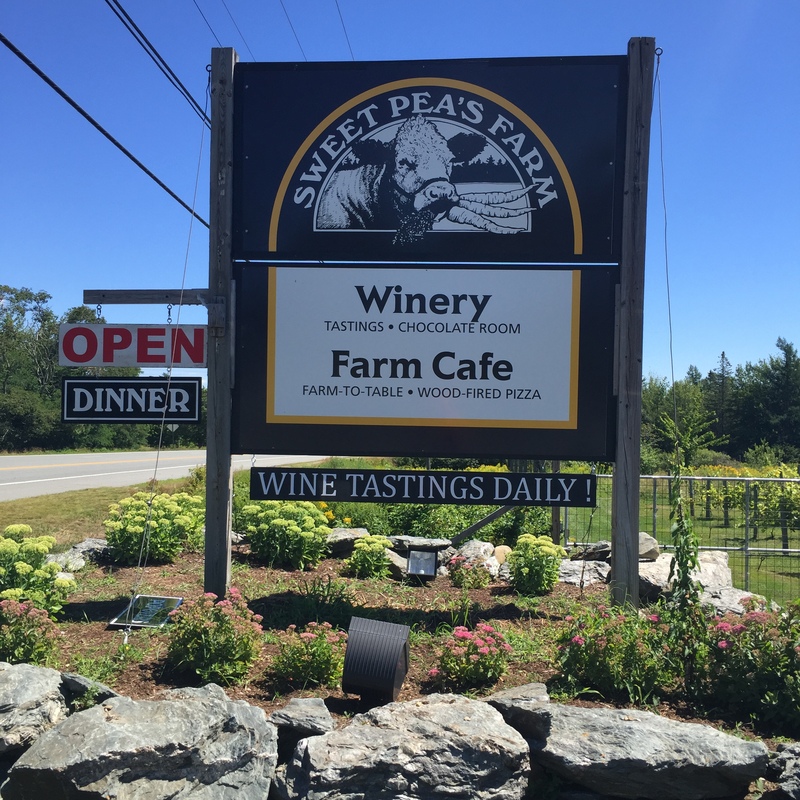 They are located just outside the downtown area on Sweet Pea’s Farm. 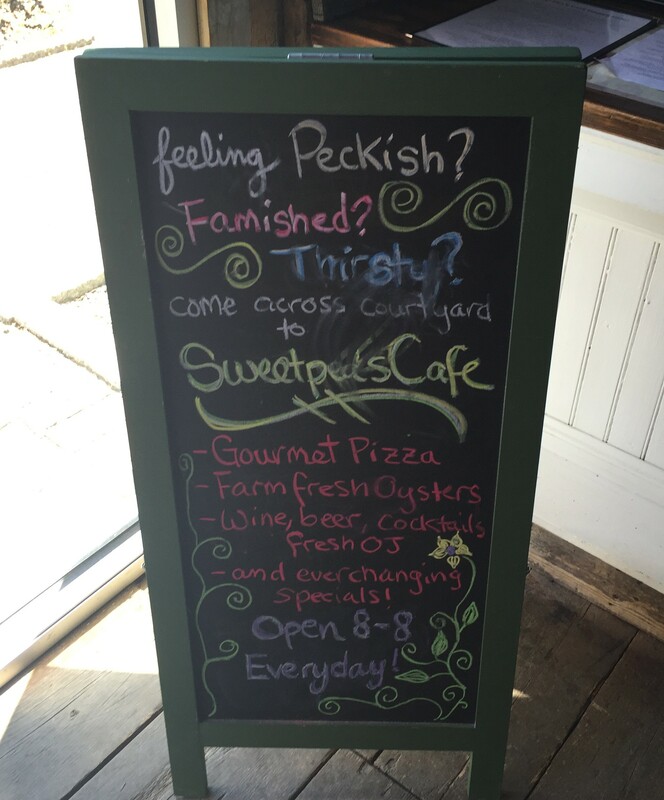 There is a nice, big shop and tasting room as well as a cafe. 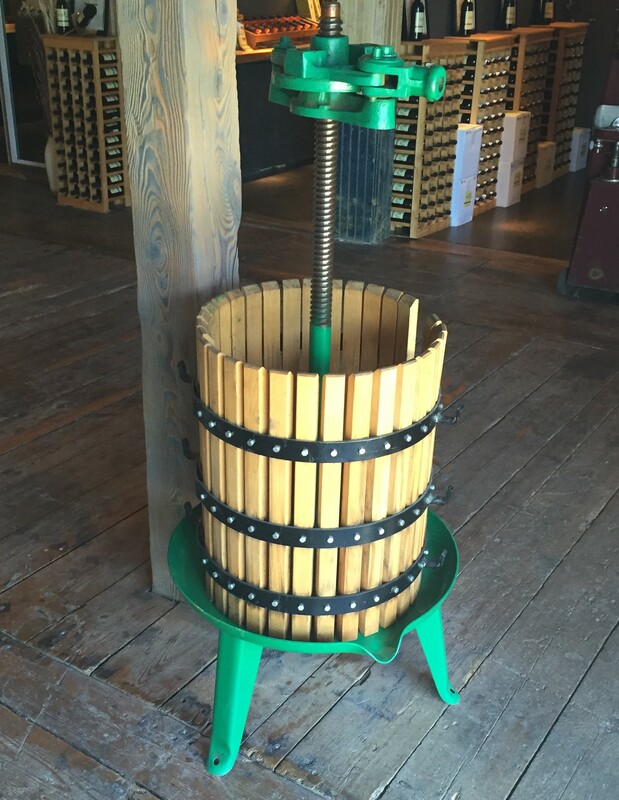 Most of their wine is made from grapes they purchase from Europe. 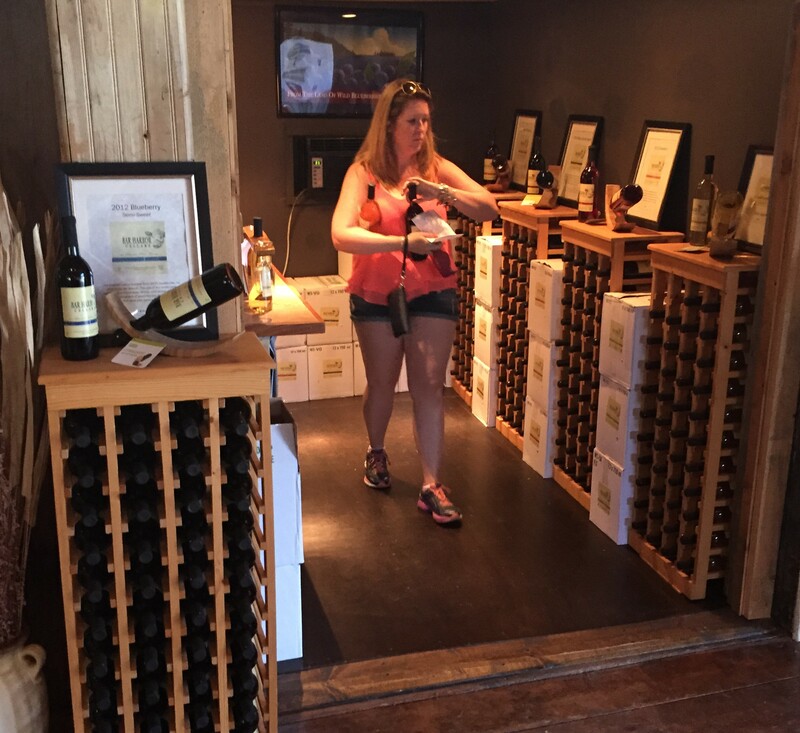 They buy just the vintages that they like, so they are getting exactly what they want. 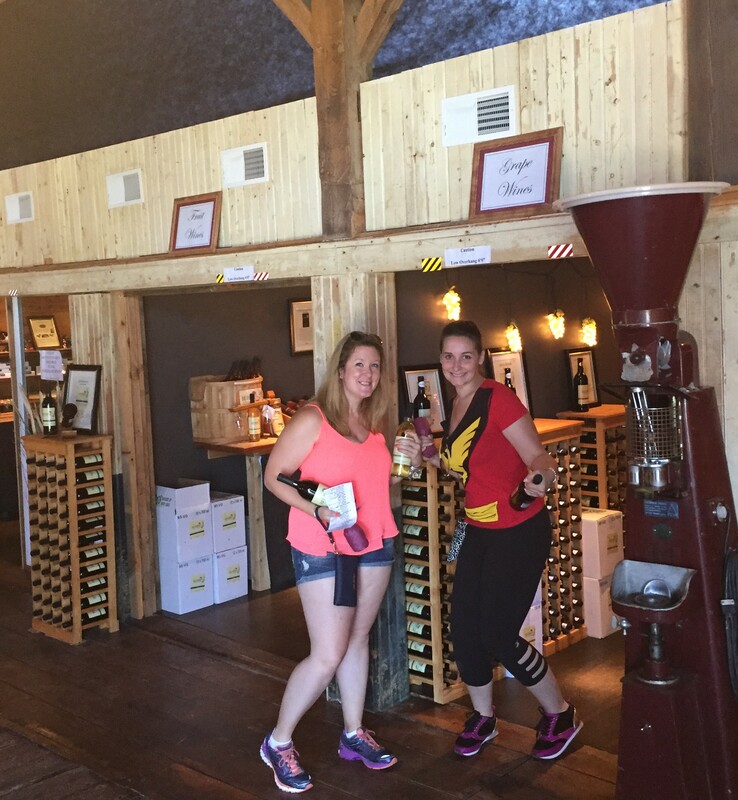 The wines are styled after the area the grapes come from. They are sent to Italy and pressed to their specifications, then shipped to Quebec and down to Maine, being kept cold the whole time. 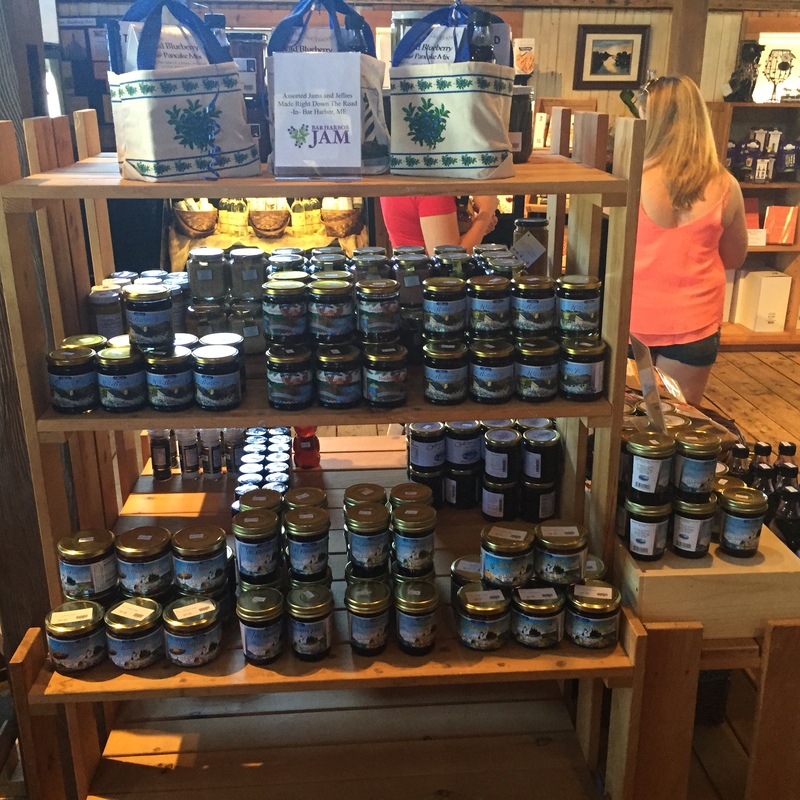 They ferment with just the natural sugars from the grapes; they do not use any added sugars. 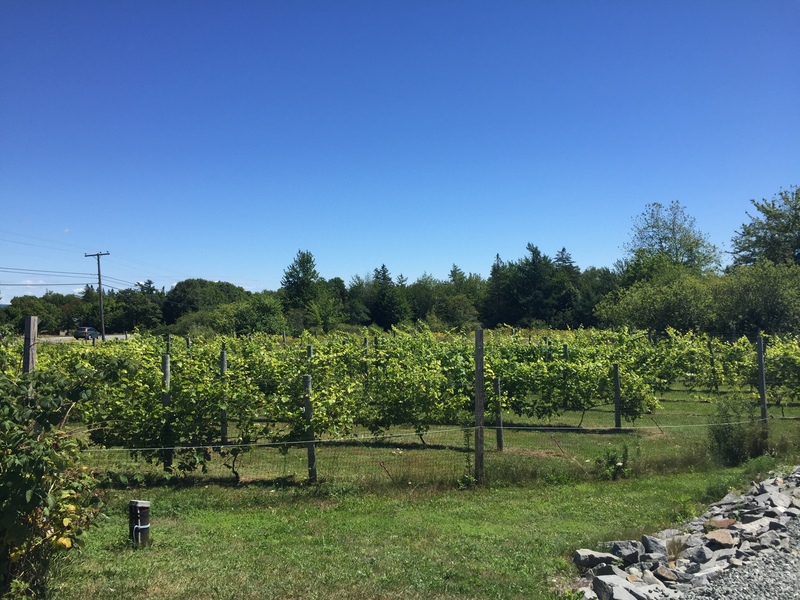 They do grow some grapes on site, but not nearly as much as they need. 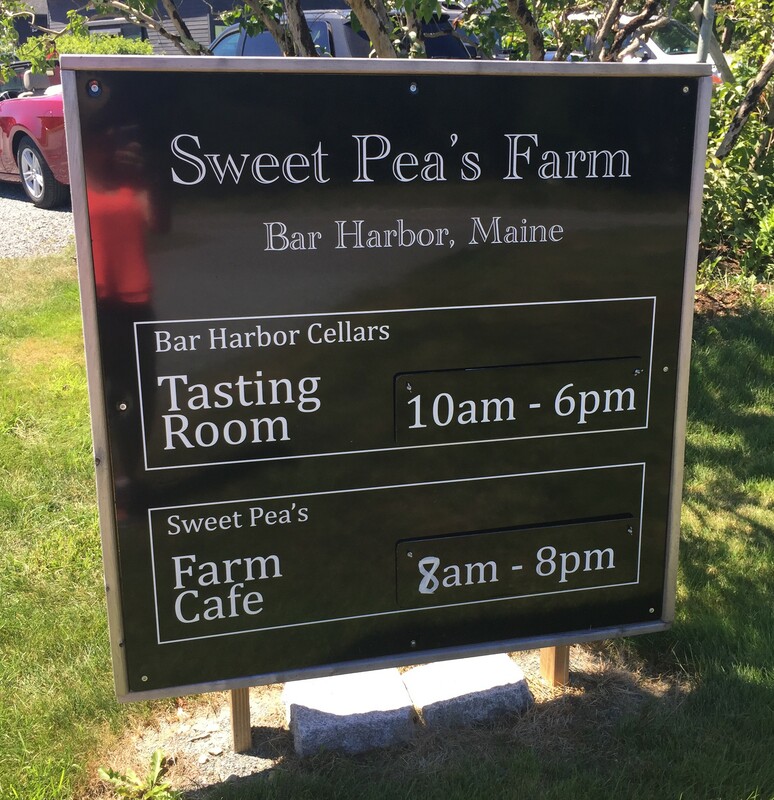 Maine is not the most ideal place to grow grapes. This was a fairly dry Riesling with a hint of sweetness, and a dry finish. This was a little sweeter than the Riesling, but still fairly dry. This was a bit sweet, a little black cherry flavor. It was good, we all liked this. Would pair well with a bold cheese or chocolate. Amanda was the only one to taste this one. She really liked it, light enough for summer, but enough body for the winter, with a smooth taste. Peppery, a real intense wine. Definitely made for having with a meal. We liked this, a sweet wine, but a good sweet, not overly sweet or sugary tasting, light in body, easy drinking. Strong Cranberry taste, almost taste liked cranberry juice. Made as a desert wine. 40% apple and 60% black currant. Complex for a fruit wine, lots of interesting flavors. Mark and Amanda liked this, told it goes well with spicy food. 40% apple and 60% raspberry, Megan described it as jam like. A rare, red ice wine, made with 2,000 – 3,000 grapes, in each bottle. Sweet, but a complex flavor. Really good, Mark tasted apricot, Megan said Fig, good either way, but more on the expensive side as it is an ice wine. 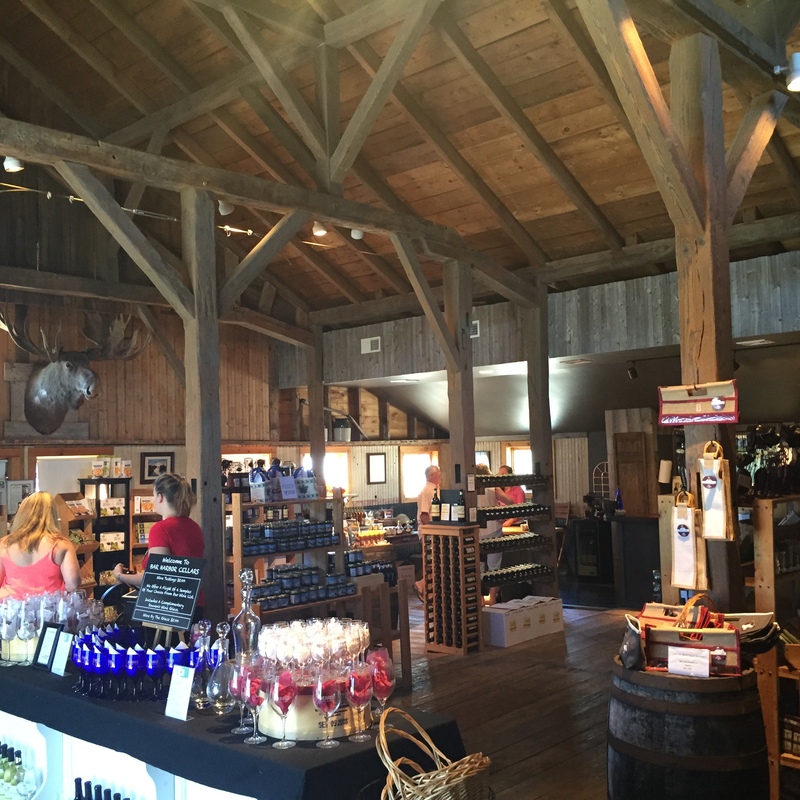 They have a cool, rustic barn building with all sorts of local treats as well as all their wine for sale. 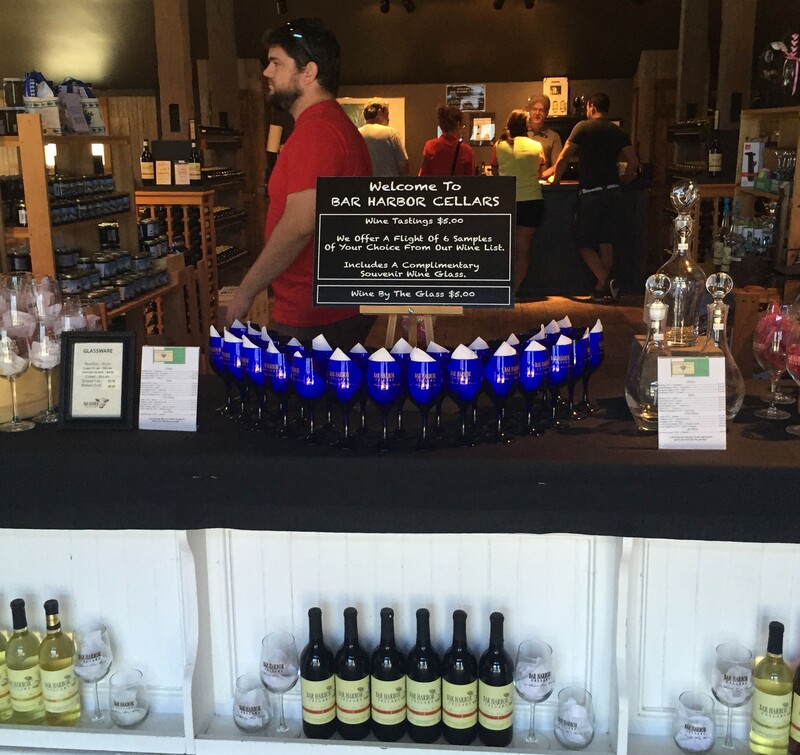 The tasting bar is pretty big with plenty of room at the back of the barn. 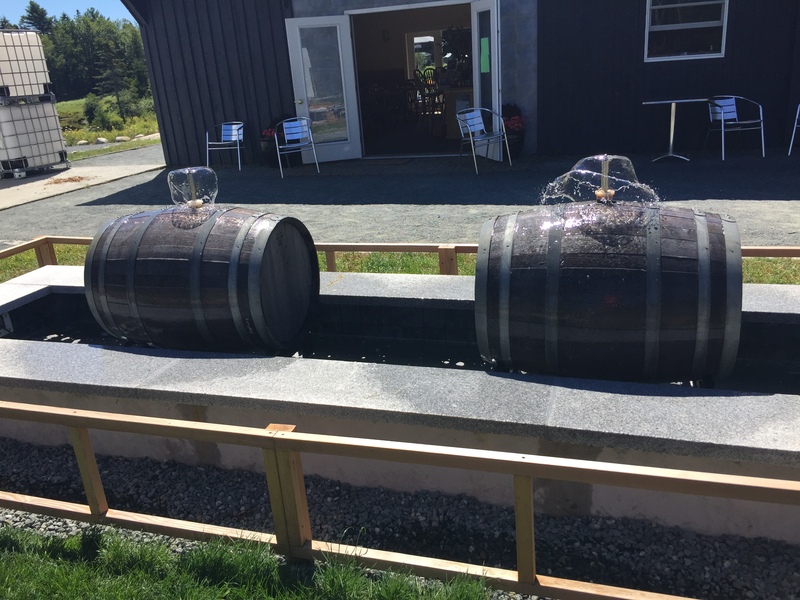 There were these really cool fountains outside made from old wine barrels. They are just outside Cafe entrance, which we did not have a chance to eat at. 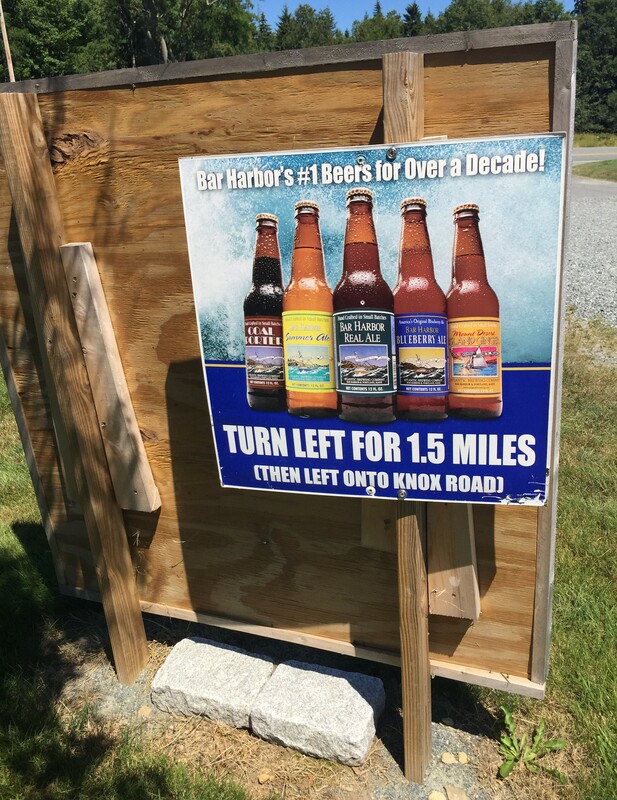 Bar Harbor Brewery only 1 mile away.